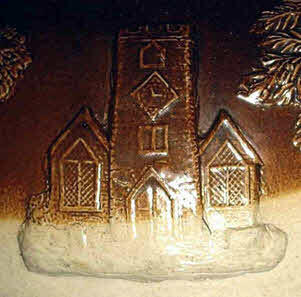 A church sprig frequently appears on Fulham jugs. The earliest is found on a 4 pint jug from the White period c1830 but they later, presumably during the Bailey ownership period, become part of the standard set. Their use continues into the Cheavin ownership period. 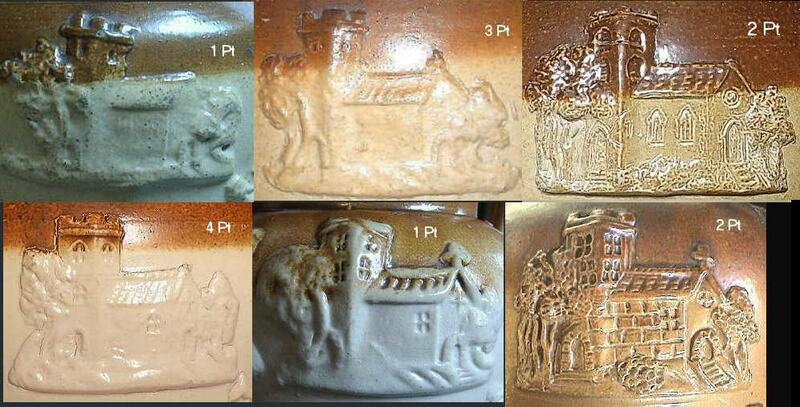 They are all likely to represent All Saints Church, Fulham but the many minor variations indicate a certain freedom on the part of the mould maker.